Living in the Middle East, Eid breaks are considered one of the few important dates to look forward to. In July 2015, my brother and I planned to go to Vietnam for a quick getaway where we’ll be joined by his wife. My sister-in-law said she couldn’t make it and so we canceled. And now what? As I already got my exit permit and suitcase packed, it was unacceptable for me to just let the days pass without any adventure. I grabbed my laptop and searched for options on TripAdvisor. 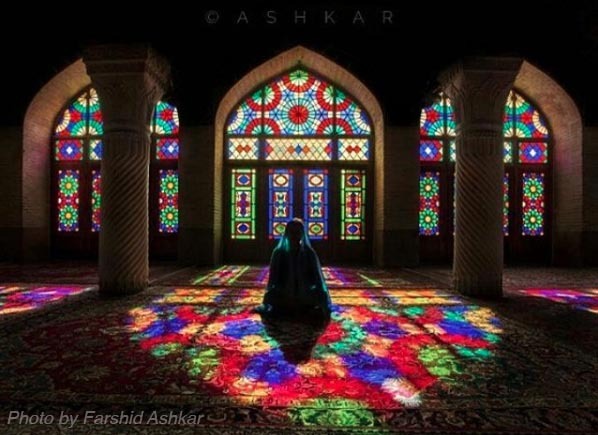 Then I suddenly remembered the beautiful mosque in Shiraz, Iran that I kept admiring on Instagram. I knew none of my family would agree but I booked anyway. I had no knowledge of the place except for the pink mosque I saw on Instagram. It was a late night flight and there were only a few people in the flight. I sat next to a Persian woman who’s working in Canada and excited to go home. She asked me where I was going. I said I had no idea, I just wanted to see the pink mosque I saw on Instagram. That was when it occurred to me, “what was I thinking?”. With only USD 5oo in my pocket and a hijab around my head, we arrived in Iran and I went straight on to get my visa. Shiraz International Airport is just small but full of heartfelt emotions. Each of the passengers in my plane was welcomed by loved ones who were all carrying bouquets of flowers (and it wasn’t even Valentine’s Day!). I booked an airport taxi and so I was looking for signage that bears my name. No luck. Worse, no one seemed to understand English. Worse than worse, I went to change my dollars but they didn’t have enough Iranian Rials. My roaming data was on, but I couldn’t seem to connect to Facebook. Guess who’s gonna be dead soon? I got a taxi and the driver couldn’t understand the name of the hostel I was going to. Good thing I got a screenshot of the facade and off we went. In the middle of the freeway, he suddenly pulled to the side while having an argument with someone on the phone. My prayers were already reaching beyond heaven’s exit gate. Then another car came and they told me to get in the other car. It was still dark at 4:00 am. I’ve never been so scared in my life! The other driver came to me and said, “I’m the driver you booked.” Waaah! He speaks English! Despite what the media is telling the world, Iran seemed to be a peaceful place. There was always a friendly smile everywhere I looked. The city made me feel like I was in an 80’s scenario with small boxed cars and streets full of posters of soldiers who sacrificed their lives for their freedom. One of the reasons that influenced me to see Iran is the intricate items I’ve seen at the Museum of Islamic Art in Doha. They’re very artistic and lo and behold, the place was full of it. It was like walking in a gem that needs a bit of varnishing. Even the hostel where I stayed had stained glass and cute ornaments. Description: Arg of Karim Khan used to be the castle of Mohammad Karim Khan Zand, better known as Karim Khan Zand, who was the founder of the Zand Dynasty, ruling from 1751 to 1779. He ruled all of Iran except for Khorasan. Its shape resembles a medieval fortress which at one time also served as a prison. My Experience: A castle of artifacts of the royal family with rooms turned into galleries and a large garden in the middle. There were horse carriages you can ride for picture taking. My Experience: It’s amazing to see Hafez’s poems engraved on walls and on his tomb. Don’t miss visiting the place. 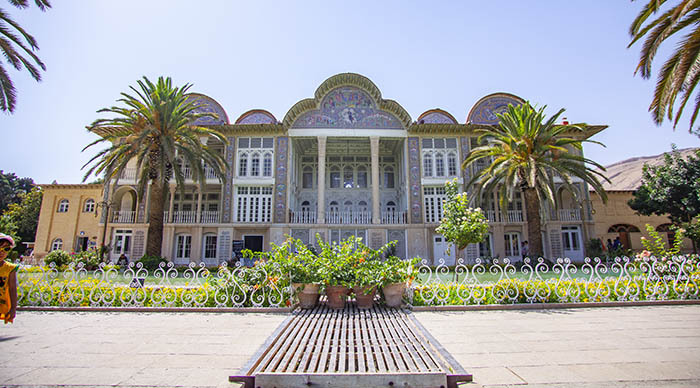 Description: Built between 1879 and 1886 by Mirza Ibrahim Khan, the Qavam House was a home to a family of merchants originally from Qazvin. My Experience: Every area in the house has its own interesting style. I loved the tiles in each room and the terrace with mirror walls. 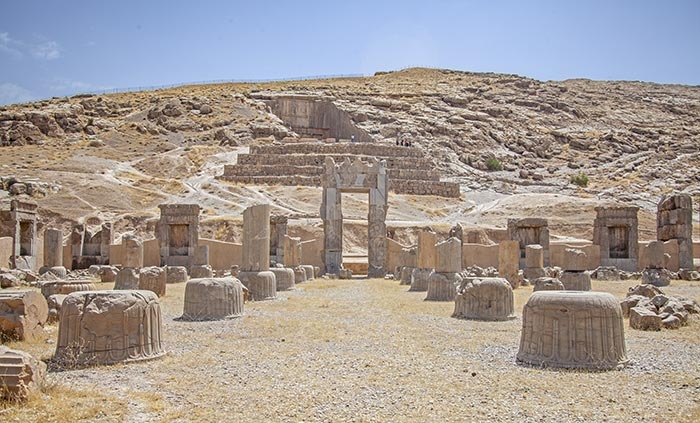 Description: This UNESCO World Heritage site was once called the Persian Emperor’s Garden (Bāgh-e Shāh). 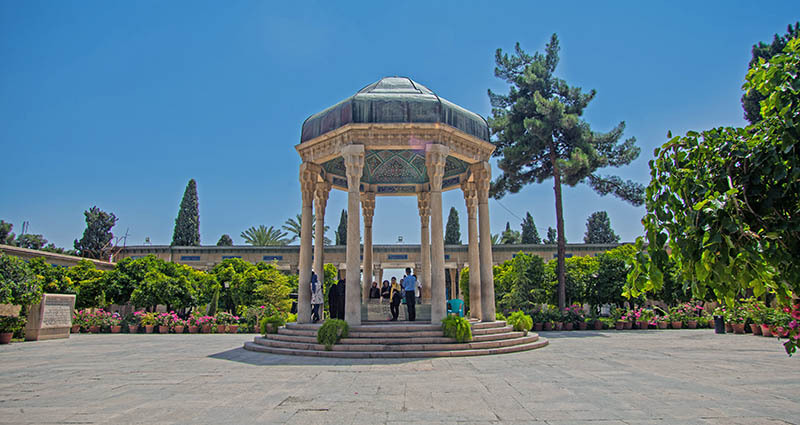 Persian gardens are known to have intelligent and innovative engineering solutions. My experience: Persian plants are super green and mostly healthy. There’s something about their plants that you won’t find anywhere else in the world. 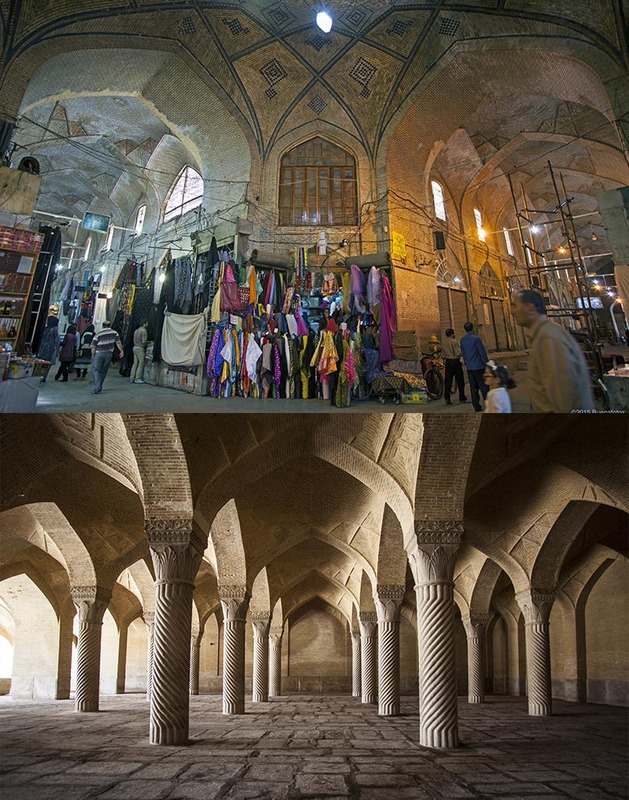 Description: The main bazaar of Shiraz, Iran, located in the historical center of the city is said to be established by the Buwayhids in the 11th century AD, and was completed mainly by the Atabaks of Fars, and was renamed after Karim Khan Zand only in the 18th century. 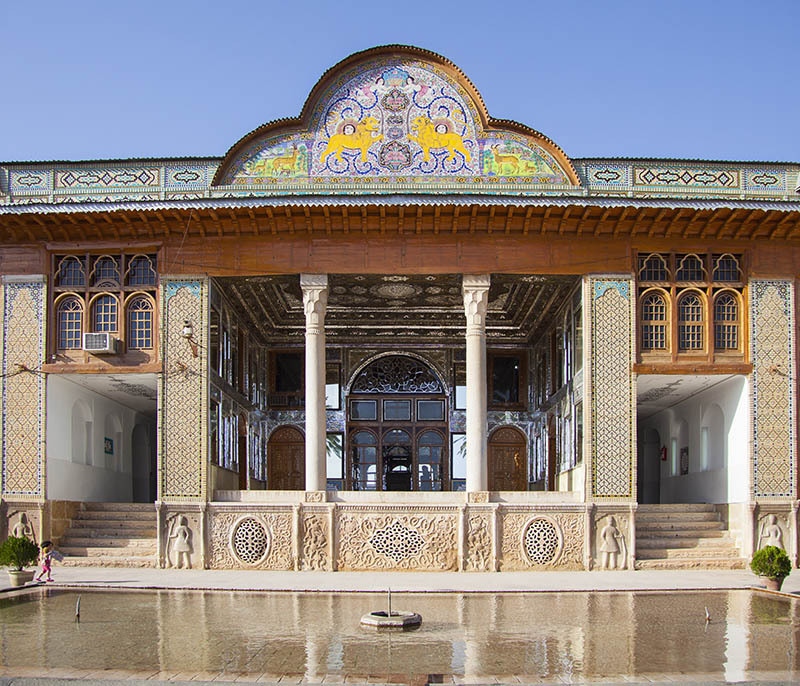 Description: The Vakil Mosque was built between 1751 and 1773, during the Zand period; however, it was restored in the 19th century during the Qajar period. 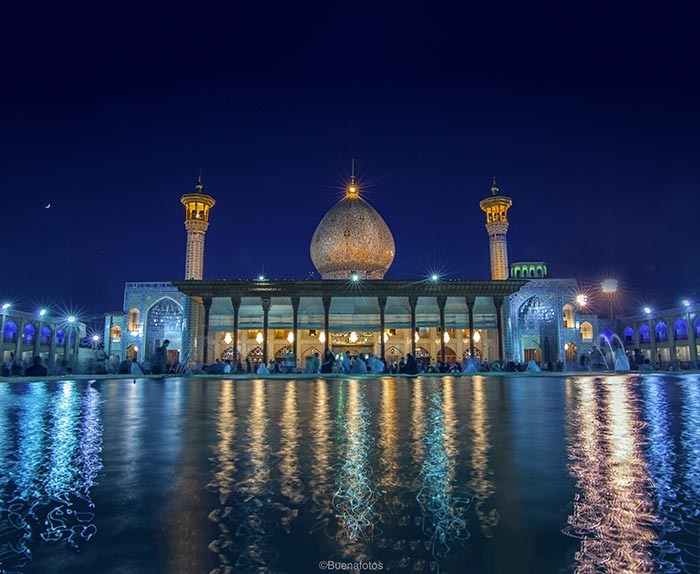 My Experience: For an immerse experience of being in Shiraz, this is the heart of the town that has all the local produce like Shiraz grapes and carpets. My Experience: Wear sneakers and sunblock. I call this historical place “Concrete by Darius I, Abstract by Alexander the Great” since he destroyed the city in 330 BC. My Experience: This massive structure has stunning gates even before you reach the main thing. 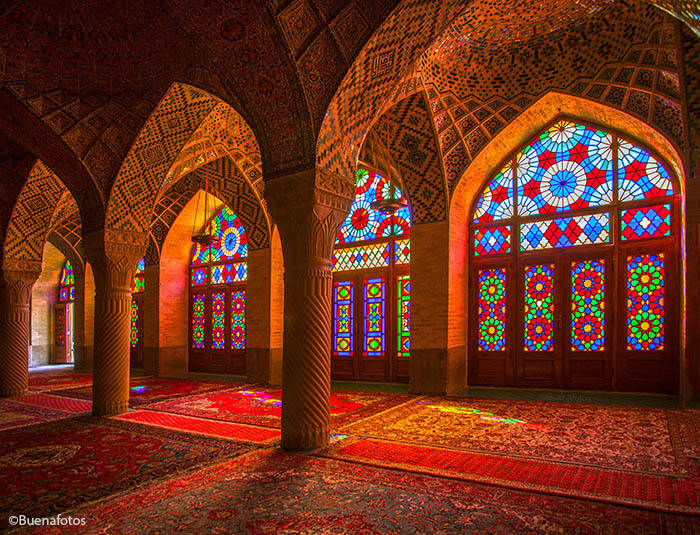 And when you get to the mosque itself, you will be amazed to see the interiors full of mirrors from floor to ceiling. It will leave you breathless. It made me forget the structure I was aiming to see. My Experience: I was stunned when I got inside the mosque but a bit disappointed to realize that I went in the wrong season as it didn’t show the full reflection of the stained glass on the floor. Best time to go there is around February. Aside from the breathtaking architectures, Iran offers artistic items at a low price like silvers, carpets, and plates with intricate details. I found it useful to have a calculator to understand the price when buying something. 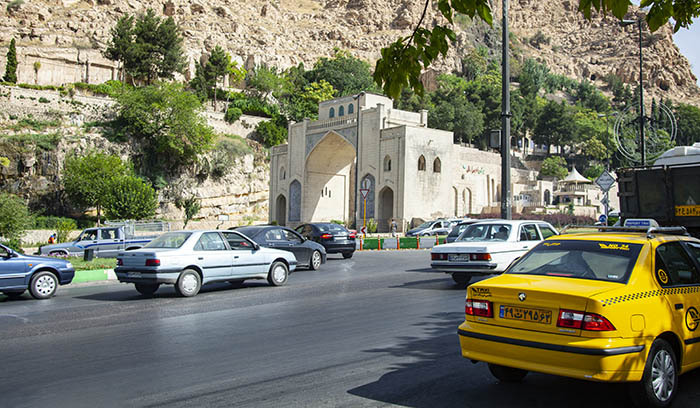 My trip to Shiraz, Iran was probably one of the best adventures I’ve had in my life. People were really nice. Although they are used to having Chinese merchants, it’s probably rare for them to see Filipino Asians walking down their streets. I got asked around 20 times to take a selfie with them. 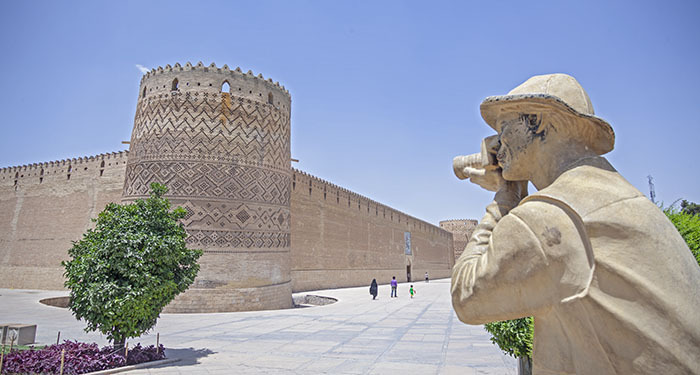 Visit Iran for a different kind of adventure.